Sorry that I have been so slow in posting lately! My Mom and Dad go to Texas in the winter time, so I end up taking over a lot of the things that they do so I get very busy. Becky and I also made a trip out to her parents in NW Iowa, so that took up a few days as well. It was neat to tour through Sioux County Iowa while we were out there. Sioux County apparently has the most livestock of any county in the U.S. It is easy to believe that after being there! Beef feedlot after beef feedlot with lots of hog operations as well. We went to Becky’s cousin’s house one night, they operate a beef feed lot and take care of a hog confinement, and I got a tour of those. It is always neat for me to see other operations and other types of agriculture, always gets me thinking about what we could do different or better. You always get good ideas from seeing other operations. The cattle are loaded into the tub in the back left of the photo. There is a gate that swings around with stops every 12 inches. 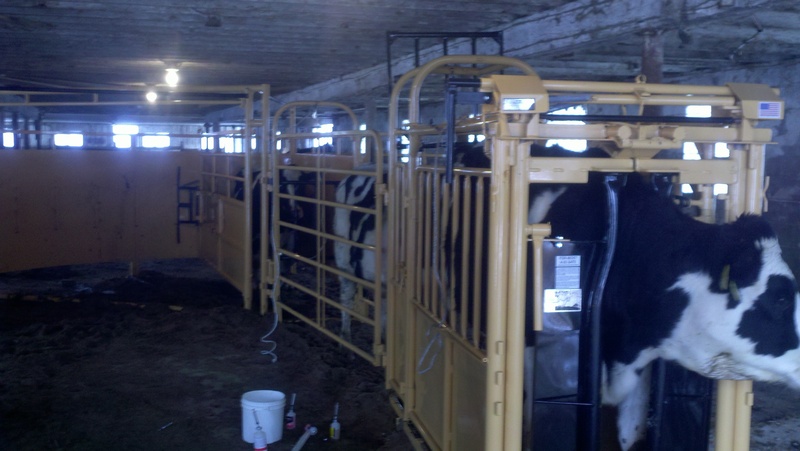 This gives the animals nowhere to go but into the alleyway which leads to the chute and head lock. Much safer and easier on both the people and the animals! 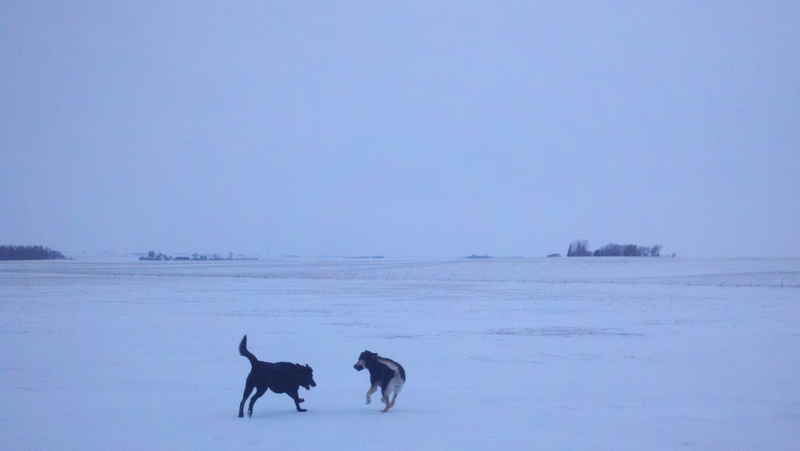 Sophie had a fun time playing with her doggie cousin Abbey in Iowa! This entry was posted in Animals, General Information and tagged agriculture, Animals, cattle, Cattle handling, cows, dairy, dairy farming, dogs, factory farming, heifers, pets, production agriculture, Wisconsin dairy farming. Bookmark the permalink.